NASHVILLE, Tenn. (December 21, 2015) – Dolly Parton is opening up about her Christmas memories with AOL, Yahoo! Music, Billboard, Taste of Country and Country Music Nation in exclusive videos for each outlet as the country music icon invites fans and families to enter the “Coat of Many Colors” Sweepstakes. Parton wants to provide one lucky winner, and three guests a once-in-a-lifetime getaway to the Great Smoky Mountains, which includes a tour of her own Tennessee Mountain Home. In celebration of NBC’s TV-movie, “Dolly Parton’s Coat of Many Colors,” which re-airs December 25 at 9/8c, the superstar is inviting everyone to enter the “Coat of Many Colors” Sweepstakes for a chance to win a tour of her Tennessee Mountain Home, four (4) season passes to Dollywood, one DreamMore Resort prize package (room accommodates 4 guests), complete Imagination Library book set, “Coat of Many Colors” merchandise prize package, $1,000 pre-paid gift card and 4 tickets with a cast meet and greet to Dixie Stampede and Lumberjack Adventure. 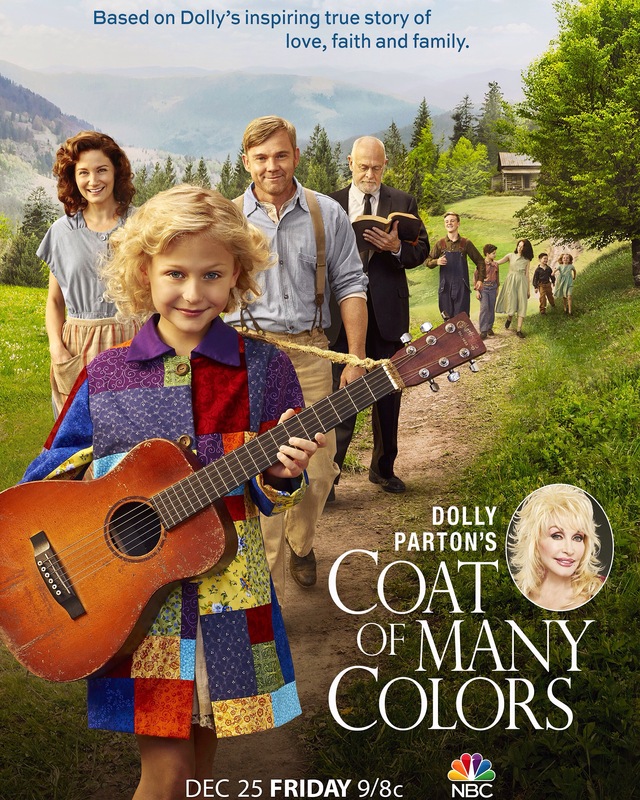 To enter “Coat of Many Colors” Sweepstakes, visit movies.dollyparton.com. 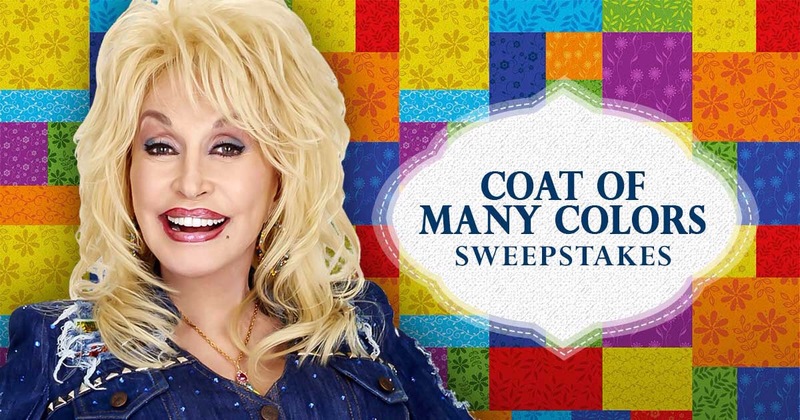 Share Your Story: During the Sweepstakes Period, visit the Website and click the link to share your story describing what Dolly Parton’s song and/or movie, “Coat of Many Colors,” means to you. Limit one Story Entry per person. For official rules and eligibility, visit movies.dollyparton.com. The TV movie is available to watch now on NBC.com, NBC apps and Set-Top Box On Demand. This entry was posted in News, Press Release and tagged AOL, Billboard, coat of many colors, Country Music Nation, Dolly Parton, Dollyparton.com, Sweeptakes, Taste Country, Tennessee by dollyfan. Bookmark the permalink.